Will ship from IL if in stock, otherwise there may be a 6-7 week lead time. 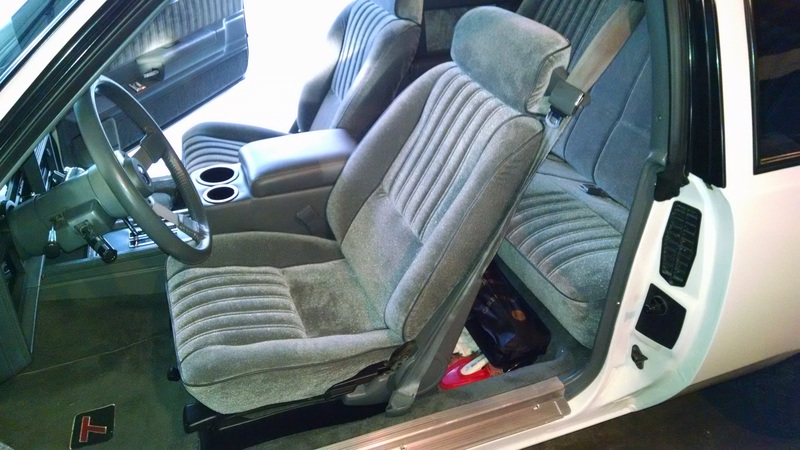 Click the button below to add the Interior-Full Regal 1987 Turbo T / 1986 T-Type Gray Seat Covers COMPLETE SET Front buckets. headrests & rear seat to your wish list. Excellent TType Regal quality replacement seat covers at an affordable price. COMPLETE SET includes: Both buckets, rear seat, and grey headrests) Ask us for a sample swatch. 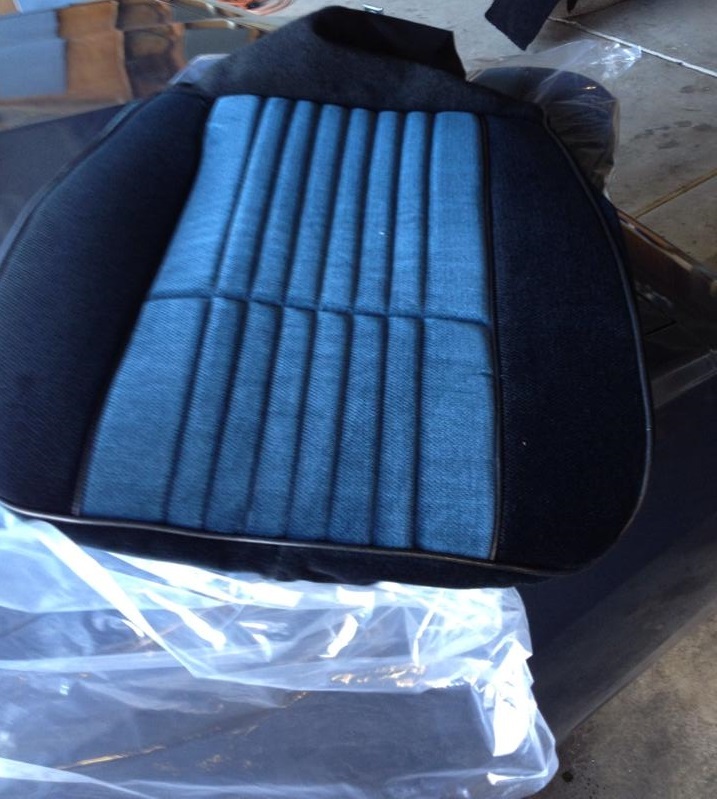 Here is a recent photo of a custom seat cover, we custom made for a customer with a 2 tone combination. that I bought from highway stars last year. ( Sorry just now got around to it.) The interior looks GREAT!!! Thanks! The interior that they made for me to install into one of my customers cars came out awesome! It had the OEM look and They used quality fabric and materials! Leslie was very friendly and knowledgeable......she Took the time to answer all my questions! The company also offered to send me samples of the fabric so i could not only see the quality of the material but to insure a perfect match with the factory door panels. I highly recommend this company to anyone or any company looking to purchase interior! Paul owner/operator of Muscle Cars Unlimited LLC.